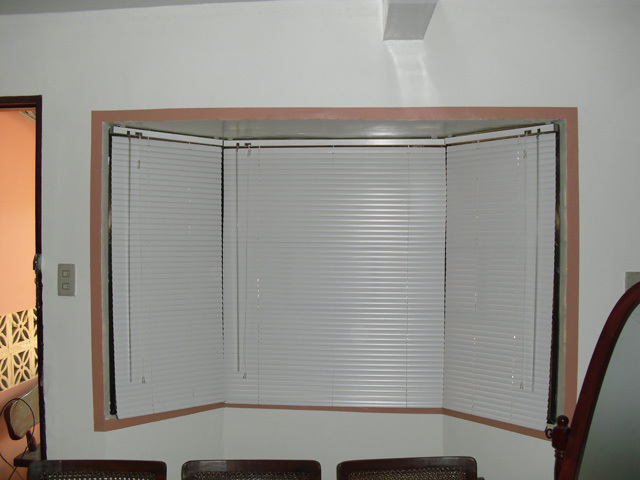 DS Windows & Walls offers a wide range of window blinds and that comes with a wide range of prices. 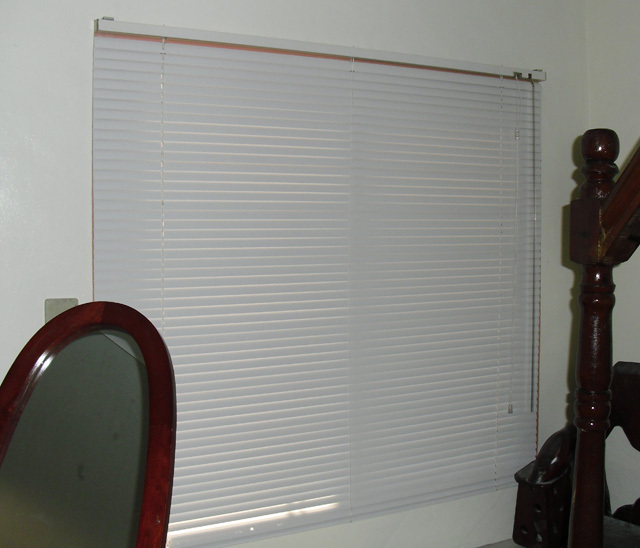 For clients with tighter budget but still wants the benefits of window blinds such as privacy, heat insulation and home decor the classic venetian blinds is a nice alternative. Even though the Venetian blinds a.k.a miniblinds is a cheaper cousin of the horizontal blinds selections, the miniblinds has a wider array of colors and color combination. It has several colors and you can also mix and match the colors to your liking. Some clients for example choose 3 color combination in a single panel. Our customer from Quezon City Philippines chose the Almond 305 color which is a plain version clean-looking variety. Also for bay windows such as in the picture, Venetian blinds is the easiest to customize compared to thicker horizontal blinds such as the wood blinds. For Quezon City customers, you may visit our kiosk at the 3rd level of Robinsons Metro East near “body senses” area. For more information and inquiries, call us at 403-3262 or 893-1373 or you can reach us via mobile at 0916-311-3909and email us for FREE Quotation at inquiry@dswindows.com. We also offer FREE Estimate within Metro Manila Areas. You can also visit our show room at 4th floor of Waltermart Center, Makati City for the actual samples of our swatches and window blinds.